Tis the season.....for fall flavors, celebrations with friends and family, and for overindulging. A high protein snack can help curb your cravings and help you control portions at your next meal! 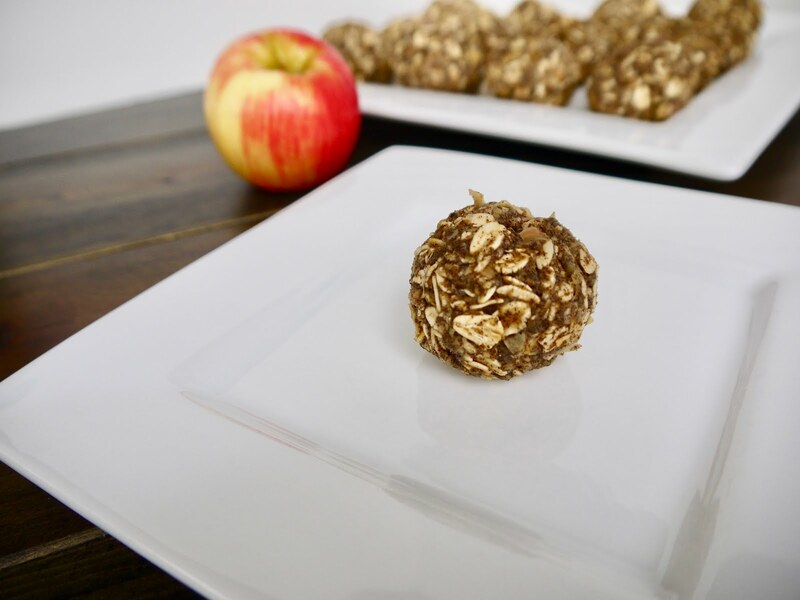 Apple Pie Protein Bites to the rescue. Keep these on hand in your freezer as a quick grab and go snack, made with healthy ingredients and no fillers! Combine dry ingredients in a medium bowl. Add in applesauce and mix well. Place the bowl in the refrigerator for 2 hours. Roll mixture into balls (golf ball sized) and refrigerate. Store in the refrigerator for up to 5 days OR place on a plate and freeze, then transfer frozen balls to a ziplock bag for freezer storage.